When I tell you how Gov Udom has transformed the health sector, you call me all sorts of degrading names. What have you said to the APC-led Federal Government that honoured him (Gov. 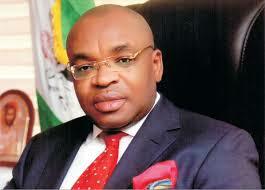 UDOM EMMANUEL) with An Integrity and National Service Award on Quality Healthcare Delivery and Gender Empowerment? Truly, a gold fish can't hide. Before you insinuate that awards can be bought, let me quickly ask? Is APC- led Federal Government that hungry and cheap, to sell "AN INTERGRITY AWARD to Gov Udom Emmanuel, a PDP GOVERNOR, who is constantly accused by APC supporters for diverting public funds?